It's really an amazing illustrated Bible, and you can't beat the price. 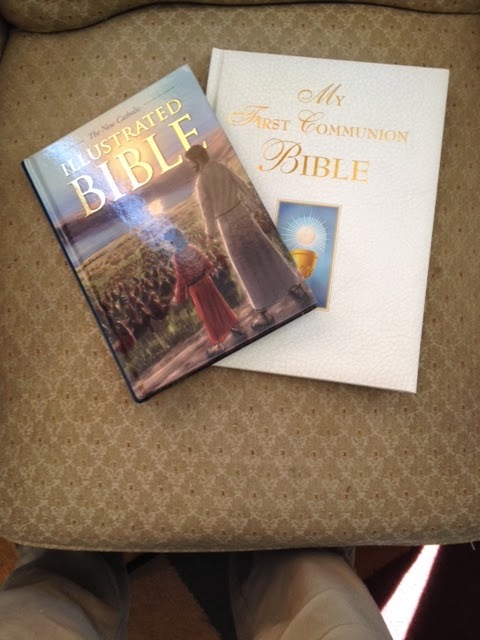 Timothy--not to detract from the children's bible but I wanted to inform you that while checking out new book titles coming up I noticed that Our Sunday Visitor will be publishing a Catholic Men's Bible using the NABRE and compiled by FR. Larry Richards. Release is set for January 2014. This I believe will be the first Catholic bible for men. After reading comments from your blog dating back to 2010 regarding the lack of Catholic men's bible I sent off email to several publishers asking them to consider such a volume. Only two responded in a non committal way---Bert Ghezzi not only an author but editor at OSV last year responded by saying they did not have any plans but would certainly entertain the idea. 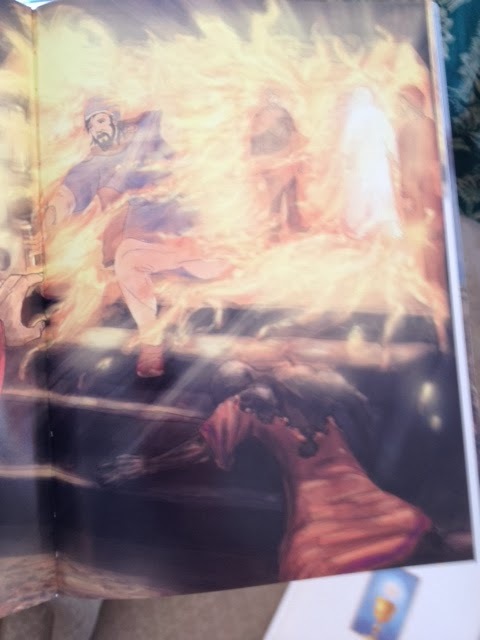 Looks like they opted to give the Catholic Men a shot at their own bible.